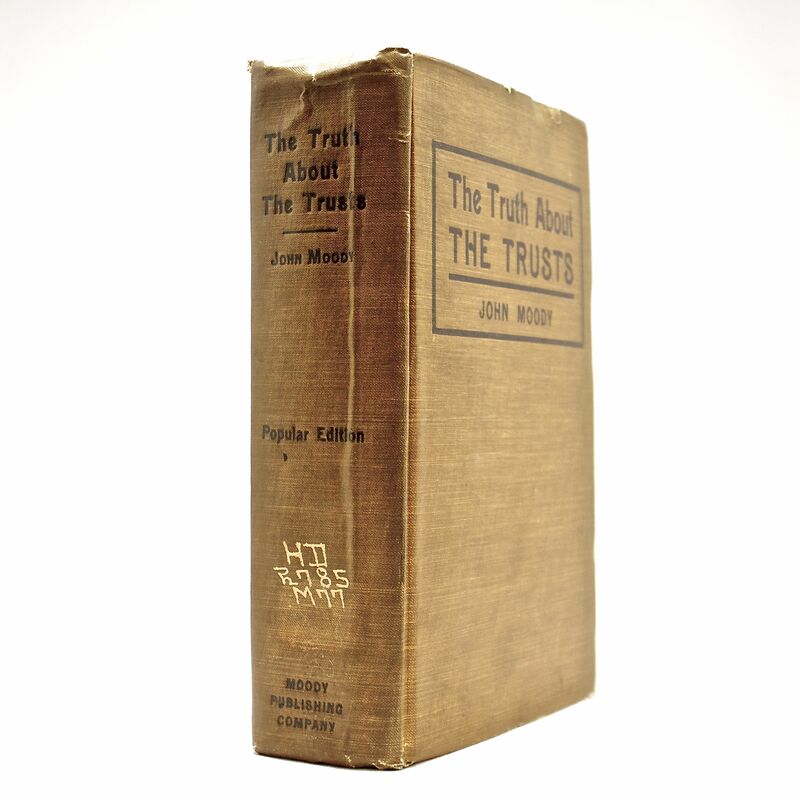 The Truth About The Trusts - IFA Vintage and Current Book Library - Index Fund Advisors, Inc.
Notes: This was John Moodys first book. A very thick and heavy 520 page book with large fold-out charts. Moody went on to write many other books about investing and wall street. He is also the founder of moodys financial which is still around today. Hardcover - 6 1/2"x9 1/2"